If you’re in the market for a personal loan, you’re not the only one. Personal loans are the fastest-growing consumer credit product in the United States, thanks to low unemployment, supportive regulations, and the rise of online lenders. Personal loan originations hit a record 4.6 million in the final quarter of 2017 and average debt-per-borrower rose 4% year-over-year to $7,986 in the first quarter of 2019, according to credit-ratings agency TransUnion. Consumers have benefited most from the increasingly competitive lending market, which has seen top online loan providers compete with brick-and-mortar lenders to offer the best rates and deals. Having said that, personal loans are a form of consumer debt and it’s best they be used to solve existing problems—rather than create new ones. Personal loans can be a means to an end, if that end is financial independence and not an endless cycle of more personal loans. How can you make your next personal loan your last personal loan? Read on for our top 5. If you’ve maxed out your credit cards and find yourself unable to pay off all your debts in time, a personal loan offers a way out. Debt consolidation is the number one reason people take out personal loans, and with good reason: personal loans are usually cheaper than credit cards. In October 2019, the average interest rate on a credit card was 17.08%, according to CreditCards.com. At the same time, the average rate for a 2-year personal loan reached 10.12%, according to the Federal Reserve. You can take out an unsecured personal loan for basically any purpose you want, but there are specific benefits to using a personal loan to consolidate credit card debt. Many online lenders let customers apply for a “debt-consolidation loan” without running a hard inquiry on the customer’s credit score. You can even arrange to have your lender send the funds directly to your creditors. That way, you wipe out your credit card debt in one go and get to pay it back to your lender at a lower monthly rate. A personal loan can actually improve your credit score in more ways than one. Your FICO score, the credit score given to you by the big credit agencies Experian, Equifax, and TransUnion, is made up of 5 components. The 2 largest components are payment history (35%) and amounts owed (30%). Whenever you pay back a personal loan on time, your credit score improves—and with it, your ability to get a better rate next time you approach a lender. And if you use your personal loan to pay back credit card debts, you end up ticking the “amounts owed” box and giving your credit score an additional boost. Credit score isn’t a trivial matter. The higher your credit score, the better the rate lenders will offer you on any consumer-credit product—whether that be a personal loan, mortgage, or car loan. And the greater your ability to negotiate low rates, the closer you get to financial independence and no longer needing a personal loan. Home improvement is another popular use for personal loans. Lenders offer several types of mortgage products for carrying out home improvements, including refinancing, home equity loans (HELs) and home equity lines of credit (HELOCs). But if you don’t have a sufficient level of equity in your home to qualify for a HEL or HELOC, or if you’d rather not put your home up as collateral, a personal loan offers an alternative. An investment in your home is an investment in your financial future. If you invest your personal loan wisely, you put yourself in a stronger financial position—reducing the likelihood of needing another personal loan in the future. Personal loans can be used for any purpose, so technically you could use the funds to start your own business or take a professional training course. If you’re in a position to get a business loan or a student loan, or even to ask a friend or relative for assistance—even better. But it’s generally easier to qualify for a personal loan than a business loan. And student loans are restricted to certified post-secondary schools and can’t be used for non-certified courses or schools. Investing in your business or studies is an investment in your financial future. Invest your loan wisely, and you’ll improve your chances of not needing another personal loan in the years down the track. 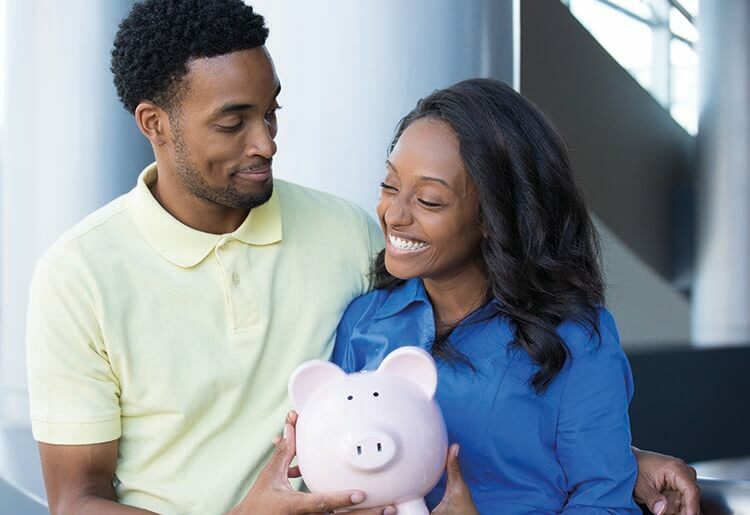 If you find yourself needing personal loans over and over again, this next one might provide the motivation to make positive changes in how you manage your personal finances. If you’re struggling to make ends meet or to fund important expenses, the first thing to do is cut back on non-essential spending. Making a budget can seem overwhelming, but it can really make a big difference to your bottom line. One place to start is by examining your expenses from the past 3 months and putting a line through the things you don’t need to be spending money on. People are often shocked to realize how much money they spend on things they don’t really need or use. Once you’ve cleared out the non-essentials, who knows: you might just find the spare cash to fund your next big expense, and save yourself all the money you would have paid your lender in interest. A personal loan is a bit like a new year’s resolution to get in shape. Done once, it can help solve a short-term problem and set you up for the future. But done over and over again, it goes from helpful to tiring. Whatever your reason for taking out a personal loan, always remember to compare the best lenders. Some lenders are best for low interest rates, some are best for low-credit borrowers, and some are best for finding a term that matches your needs. The lending marketplace is fiercely competitive and there are lenders out there to meet almost every need. Choosing the right lender puts you in a stronger position to make this your last personal loan.